Instead of writing this, I should have gone running with the Striders, enjoying the pleasures of the Winter Route or, for non-conformists, the reverse Winter Route. I did not, thanks to an ankle which protested after a long muddy plod ten days ago by swelling up and hurting like anything. It seems to be getting better, but I am being cautious. I still think Hastings is possible; every training programme has to accommodate injury. 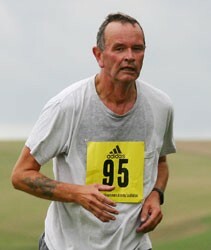 I shall return to running at the weekend.